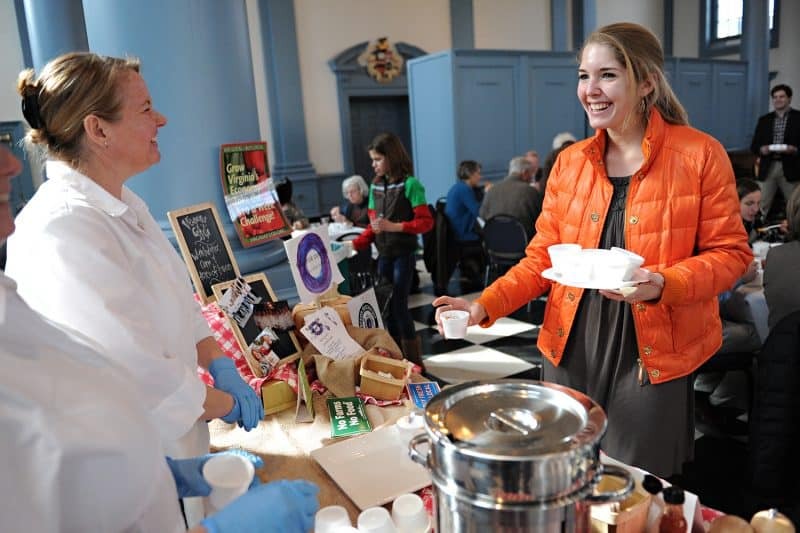 Hot Soup for a Cool Cause Through her catering business, Jenny Elmes '91 has supported the Souper Bowl fundraiser for Campus Kitchen at W&L since 2013. This year's event is Jan. 28 in Evans Dining Hall. Almost every year since the Souper Bowl’s inception in 2013, W&L alumna Jenny Elmes ’91 has made a big pot of soup for the Campus Kitchen at W&L’s annual fundraiser to help end childhood hunger. 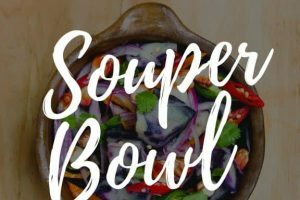 The owner of full circle catering in Lexington, Elmes finds supporting the Souper Bowl aligns nicely with her business’ mission to provide “fine food for all folks” and to support the local food movement. Elmes is proud that the amount of community involvement and social awareness by both students and the university has grown since she was a student. She has enjoyed her affiliation with CKWL as an alumna and is impressed by the students who have committed themselves not only to helping end hunger in Rockbridge County, but also to educating fellow students on how they can help the community they call home for four years. Those who attend the Souper Bowl on the 28th can sample full circle’s Brunswick stew. Elmes says it’s a client favorite that allows her to use local and sustainable products to showcase full circle’s unique, Southern-infused style of both cooking and catering. Elmes will be joined in providing soups and desserts by Beta Theta Pi fraternity, Blue Phoenix Cafe, Blue Sky Bakery, Bistro on Main, CHEFS Catering, Haywood’s, Kind Roots Café, Mountain Mama Catering, Napa Thai, Pronto Caffe & Gelateria, Pure Eats, The Red Hen, Rocca Ristorante, Sheridan Livery Inn Restaurant, Southern Inn Restaurant, Sweet Treats Bakery, TAPS, W&L Dining Services, and new participants Cattlemen’s Market and LexMex Tacos. Thanks to the sponsorship of financial advisory firm CAPTRUST, which has a Lexington office, all proceeds from the 6th Annual Souper Bowl will directly support CKWL’s backpack program, which provides more than 700 area children with a bag of non-perishable food items to take home with them for the weekend. The Souper Bowl will be held from 11 a.m.-2 p.m. on Jan. 28 in Evans Dining Hall. Tickets are available at the door and are $10 per person for students and children, and $15 per person for adults. Camie Carlock ’13 (r.) samples soup made by Jenny Elmes ’91 (l.), at the first annual Souper Bowl in 2013.